Efficiently and seamlessly conduct enterprise-wide search, targeted collection, systemized preservation, litigation hold, processing, data assessment and complete legal review. "Excellent for Litigation Support and enterprise investigations." The eDiscovery solution is user friendly and very comprehensive. There is not really any feature that I dislike. It would help to allow the user to browse the network for the evidence to process. The tool is not only for Litigation Support, it has key investigation features for security incidents. The upcoming features will expand on incident response investigations. Ability to perform full data collection or target the collection in order to look for more specific evidence. It is expensive but it is worth the cost to have reliable evidence collection. The benefits definitely outweigh the cost of this software. 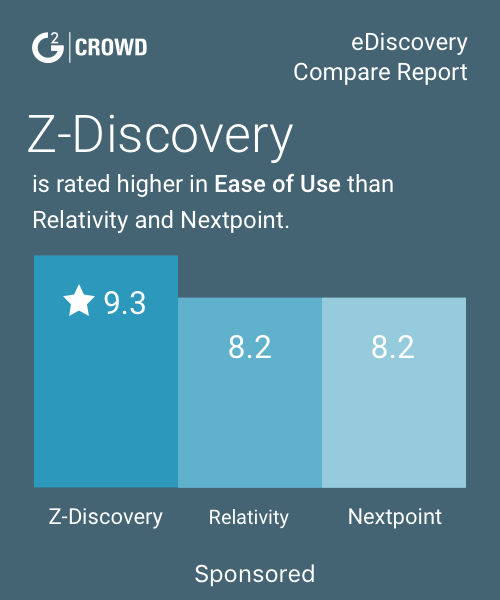 Check into eDiscovery to see if it meets your needs for the type of use you're looking for. 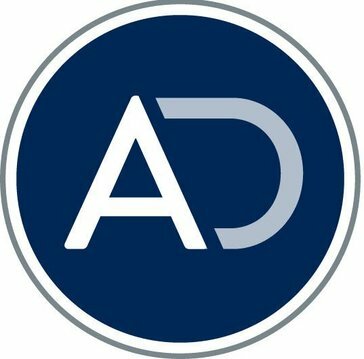 AccessData creates rock solid software that holds up in court & eDiscovery is no different. * We monitor all AD eDiscovery reviews to prevent fraudulent reviews and keep review quality high. We do not post reviews by company employees or direct competitors. Validated reviews require the user to submit a screenshot of the product containing their user ID, in order to verify a user is an actual user of the product. Hi there! Are you looking to implement a solution like AD eDiscovery?